Do you worry about being able to get home in case of an emergency? We’ve got you covered! If you regularly take the bus, carpool, vanpool or ride a bike to work, register for our Guaranteed Ride Home program and we’ll get you home in case of an emergency or illness — day or night, weekday or weekend. Click the register button below to get started. Sign up is easy! Simply register online. We’ll contact you to update your information once a year. You can use the program up to two times during each calendar year. NOTE: Guaranteed Ride Home registration is separate from signing up for the RideshareKC carpool-matching service. When you need a ride home, simply call a taxi or use a transportation service like Uber or Lyft. Pay for the ride, then submit the reimbursement form (don't forget to upload an image or PDF of your receipt) within 10 days. Please note: Reimbursements may include the cost of a tip if you choose to tip your driver. Tips greater than 20% will not be reimbursed. If you choose to tip greater than 20%, you will be responsible for the difference. Please note your tip amount in the additional details section of the form. 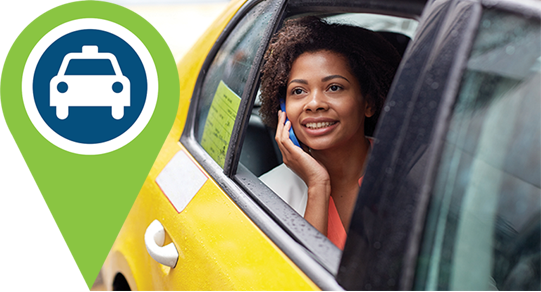 If you are unable to pay for a ride in advance, contact RideshareKC staff at 816-842-RIDE (7433) between 8 a.m. and 5 p.m. Monday through Friday, or email rideshare@marc.org. 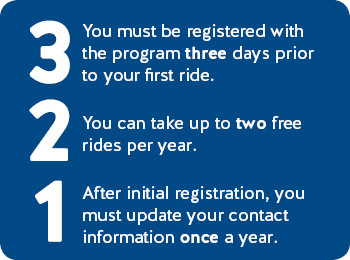 In order to qualify for reimbursement, you must be confirmed as a registered participant of the Guaranteed Ride Home program at least three days before the trip date. The GRH program has the right to request additional documentation or information, if needed. If the program administrator determines the use of GRH was invalid, no reimbursement will be issued.